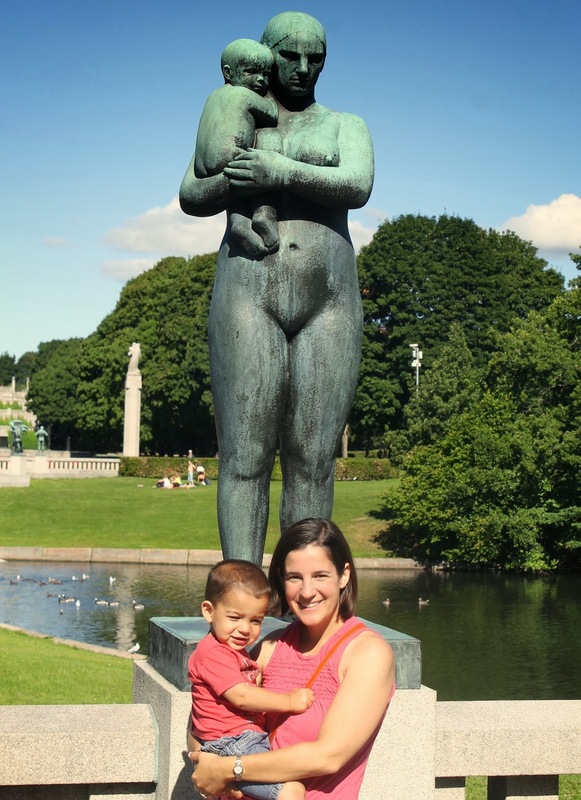 His human-like sculptures are primarily concentrated at the appropriately named Vigeland Sculpture Park. 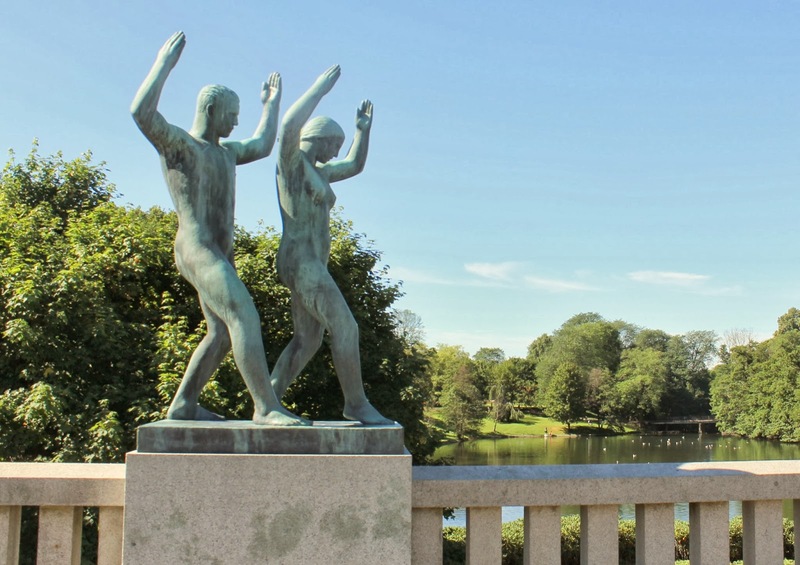 While this is essentially an outdoor art museum, it is set in a larger Oslo city park (Frogner Park). So the grounds are magnificent, including the views as you look beyond the sculptures. 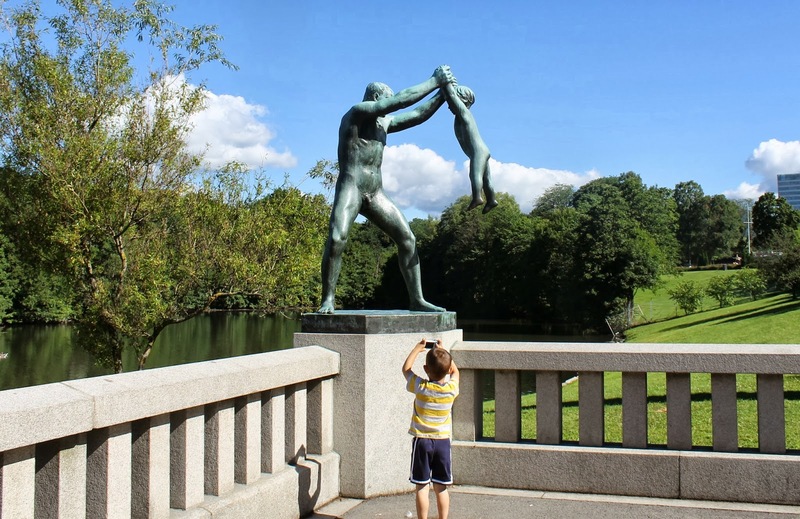 And you should also know that one of the best playgrounds in Oslo is located at the entrance to the park. 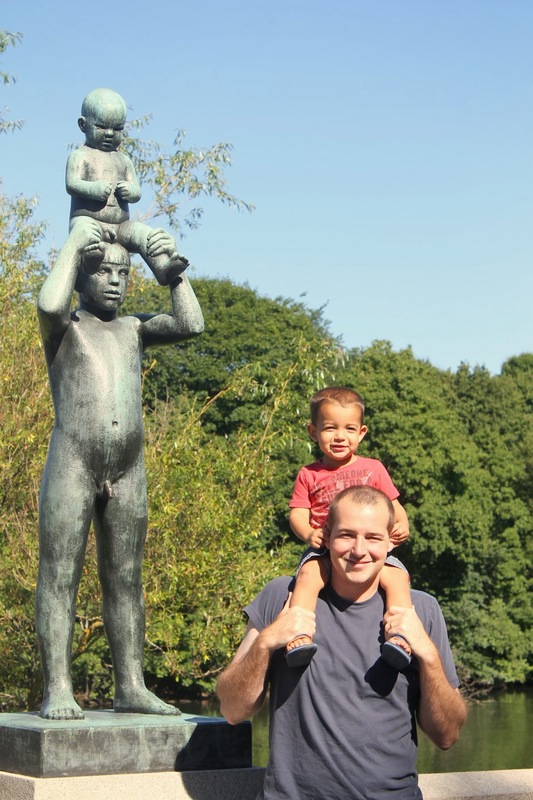 Set aside some time for the kids to enjoy that either before or after your visit. You can fortify yourself with something from the neighboring cafe while you watch them play. 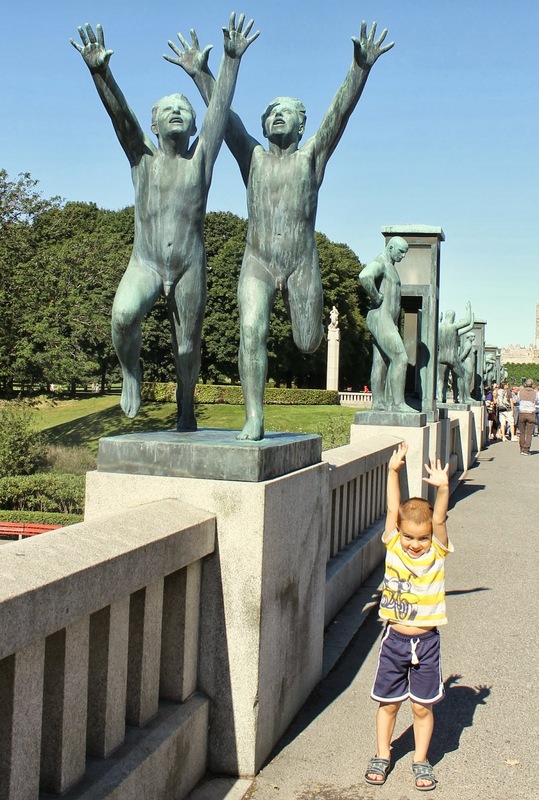 There are many ways to entertain your kids here, although my boys had a blast without much intervention from me. Always a relief. Like all the other tourists, we had fun doing some impressions of the artwork. And we challenged the boys to get all the way to the Monolith and they did it! 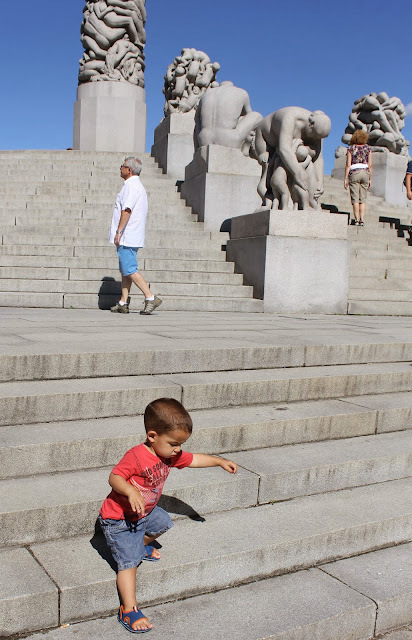 This included a favorite hobby for Little Arrow: stairs! Naturally, my budding photographer wanted to get a few shots of his own. If your kids are a little older, I suspect you could spend even longer here, admiring the intricacies of the sculptures, why Vigeland wanted to highlight certain poses, and what he was trying to communicate overall. I savored the precious few minutes I spent contemplating those things. 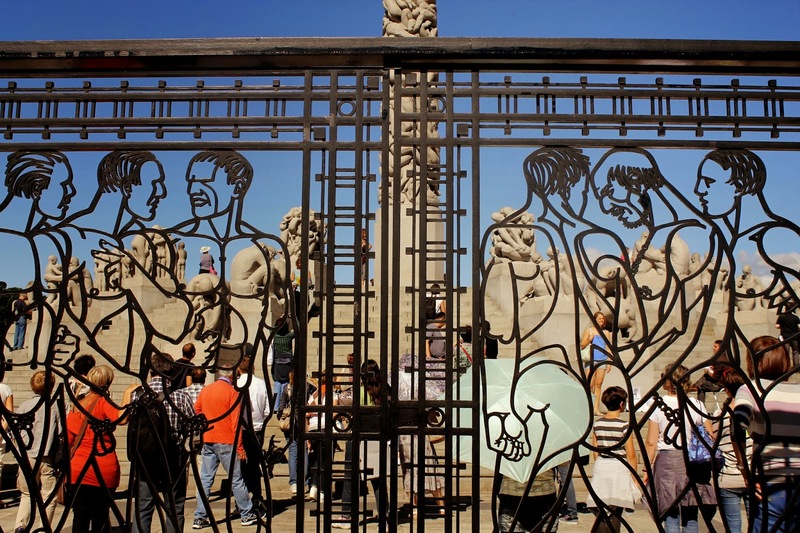 The larger groups of tourists tend to thin a bit as you make your way through the park. But it's still a big sea of humanity. While I ordinarily hate crowds, this is actually kind of nice, juxtaposed next to Vigeland's stone humans in all their shapes, sizes and forms. I wonder if he knew his work would attract so many visitors? I smile each time I think about our morning there. 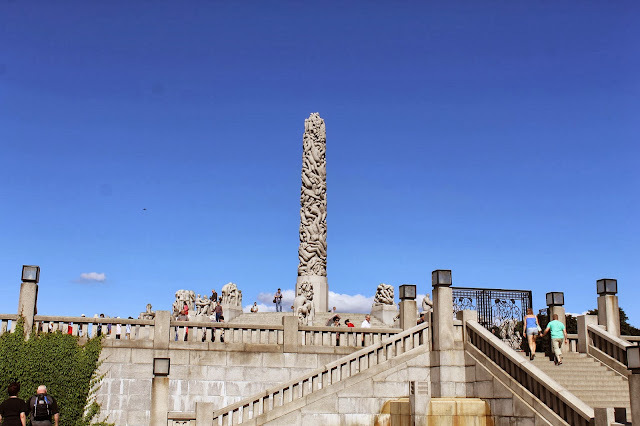 Thanks to Mr. Vigeland, who designed both the park and the art, for putting his life's work in the outdoors, where I could admire them under bright blue skies with my children. It was so much more enjoyable than schlepping them through a quiet art museum where I would have fussed over every peep they made. The kids had a grand time. My husband and I could relax. Our minds were expanded. Our pictures are beautiful. 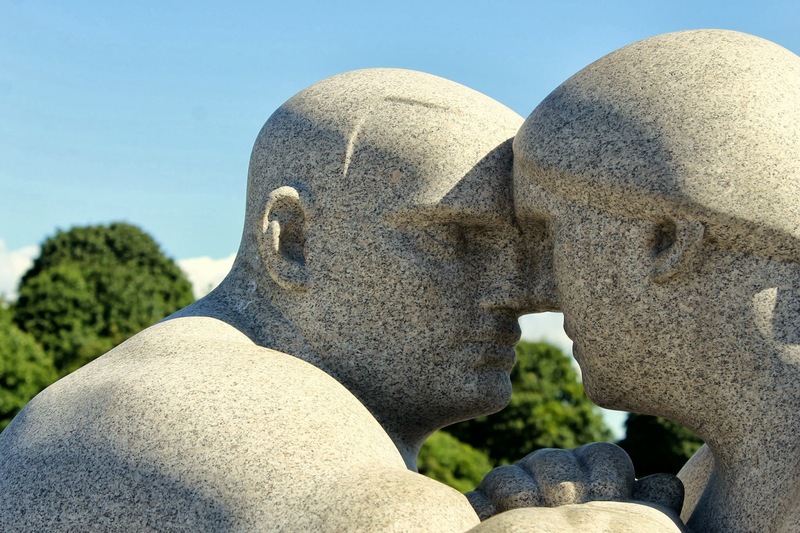 And we all know more than we did just the day before about Vigeland and his masterpieces.